By popular demand here she is for a middle of the week pin up update. Lethal weapon Miss Kay Jay returns today in an “if looks could kill” theme for a sizzling edition from last February ‘s 2011 shoot! Here is one more post for a gorgeous Friday. Miss Kay Jay is the very lovely and talented lady from Arizona who a few months back had a small feature post in the beloved red dress series ( https://johneaves.wordpress.com/2011/03/17/happy-2nd-anniversary-to-the-blog/ ). Today here she is again giving her take on an aviation pin up theme. She is every inch an amazing model, and her style is sleek, elegant, and very sassy. She is a favorite to work with and look forward to more shoots in the future, so until then enjoys some new pics from one of the queens of Arizona modeling. Miss Kay Jay. Howdy and good morning everyone, this is the piece that was created for the Ships of the Line calendar, and here is the process of how it came to be… Doug Drexler called and asked if I wanted to submit another piece for the 2011 calendar, and I was so happy to be able too. From a personal challenging point of view, I wanted to see if I could do the whole thing in Photoshop and thus I bit off more than I could chew because I had never taken on such a big task in Photoshop before….. It took a very long time to make everything work this way but I was very happy with the end result. What Doug needs to get the calendar going is a few ideas and then some sketches to pitch the concepts to Pocket books in New York. 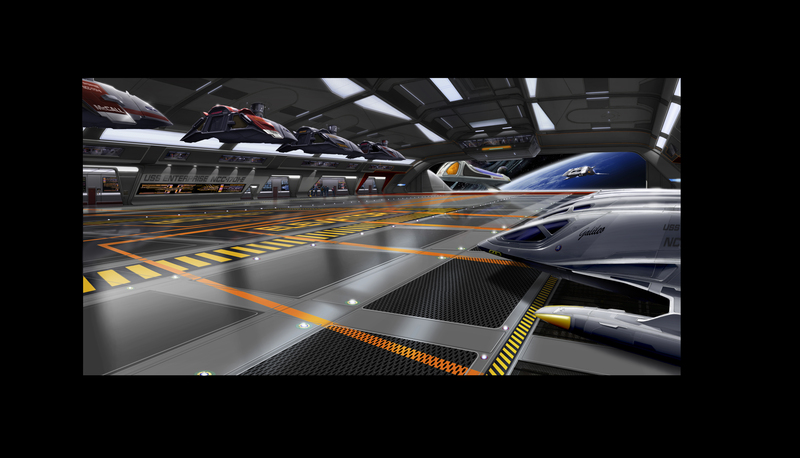 A big nod has to go to the USS Midway CV-41 for the inspiration from which the idea came. My friend, Nelson, and I had just had our first tour of the Carrier in San Diego after a week at Comicon and once we were below the flight deck, we were in the aircraft storage area of the ship. The bay was almost the entire length of the flight deck above and one incredible site to behold. I was imagining the E bays looking like this in my head but didn’t really think about rendering the concept until the calendar art was in the works. The bay pictured in the drawing is the one situated at the back of the saucer. The first sketch shows a rough view of the angle and what the surroundings will be like. I drew the first pass in the wrong format so I had to add more length to the left side before I got the go ahead from Drexler. Once all was ago, I started the piece off with a very clean pencil drawing, did a scan and then began to texture and paint away. It was way hard to find grid and metal screen textures that were usable, and I spent more time researching than drawing at times, HAAA! I’m sure this is a big issue with those of you who live in CG and 3D land that you build more than you need. I did the same with putting a large amount of under the grates equipment below the floor line and once I put the shuttles on top of grates the details were all hidden. Lost a couple of days with that idea LOL. From there it was a lot of fun to find tons of LCAR screens to use, and I even found some deck crew from the carrier Enterprise CV-65 and dropped them in the background. After the piece was nearing completion and I was passed my due date, I started to drop the heavy shuttles on the opposite side of the bay and at the last minute left them out so the wall details could be seen. I went back and forth with this layer and in the end, I’m glad I left it turned off. The hanging shuttles were a fun way to fill space and add another layer of detail. The ships were designed to be the fighter group that were added to the ship’s arsenal after the Nemesis refit. I have mentioned this loosely in past posts, but if the chance arises I name the shuttles after people that I highly admire. There are never enough shuttles to do this idea any justice so the names rotate as the drawings for the Trek films are being drawn. In every drawing I do, though, there is ALWAYS a shuttle named for the great “Siouxsie Sue” my all time favorite singer. Siouxsie has the most beautiful voice and many a drawing have been done with her music as the backdrop. In the mid 70’s one of her first band’s was named “Siouxsie and the Banshees”. Years after the fact I found out she had an alternate band called the “Creatures”, and at the present time Siouxsie has gone solo and she only gets better with time!!! Love ya, Sioux. Next is the Yeager named after the great Chuck Yeager. Remember “the Right Stuff”???? Yeager is the test pilot who broke the sound Barrier in October of 1947 and is still flying today. 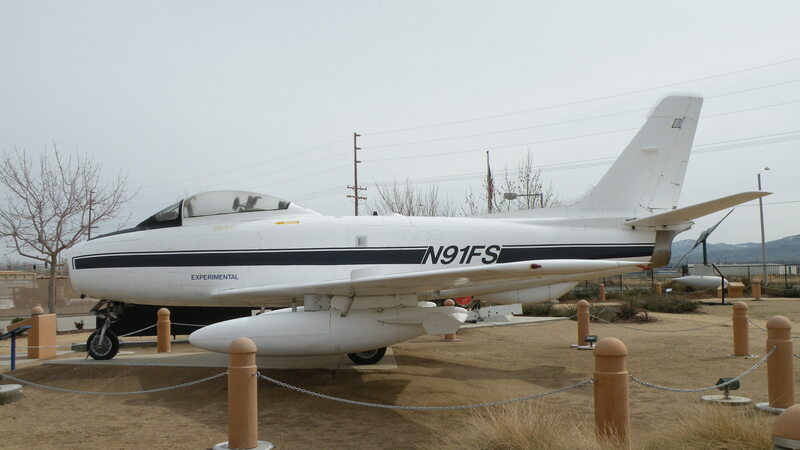 The next shuttle was named after pilot Glen Edwards, Glen was one of the pilots that was killed in a test flight of the Northrup YB-49 (The Flying Wing). Muroc AFB was renamed Edwards Air Force Base in his honor in 1950. 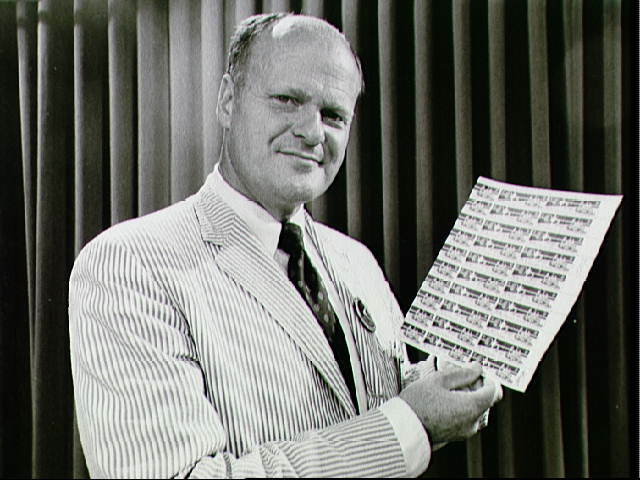 The 4th Shuttle was named after William J. 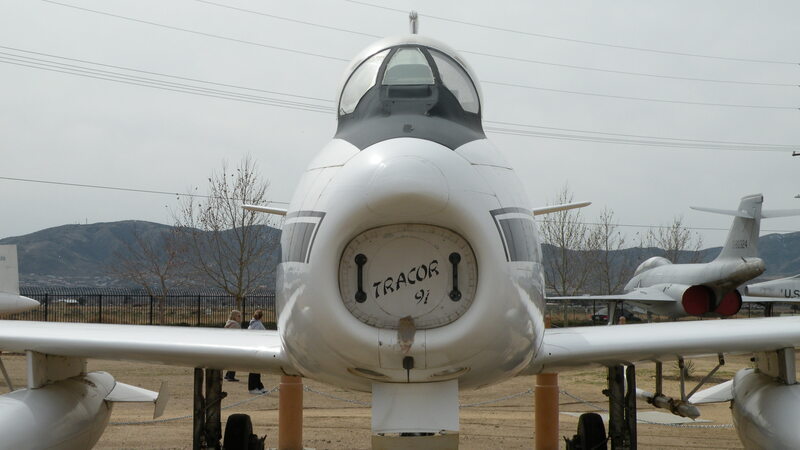 Fox, another USAF General that has a small airport named after him in Lancaster, CA. 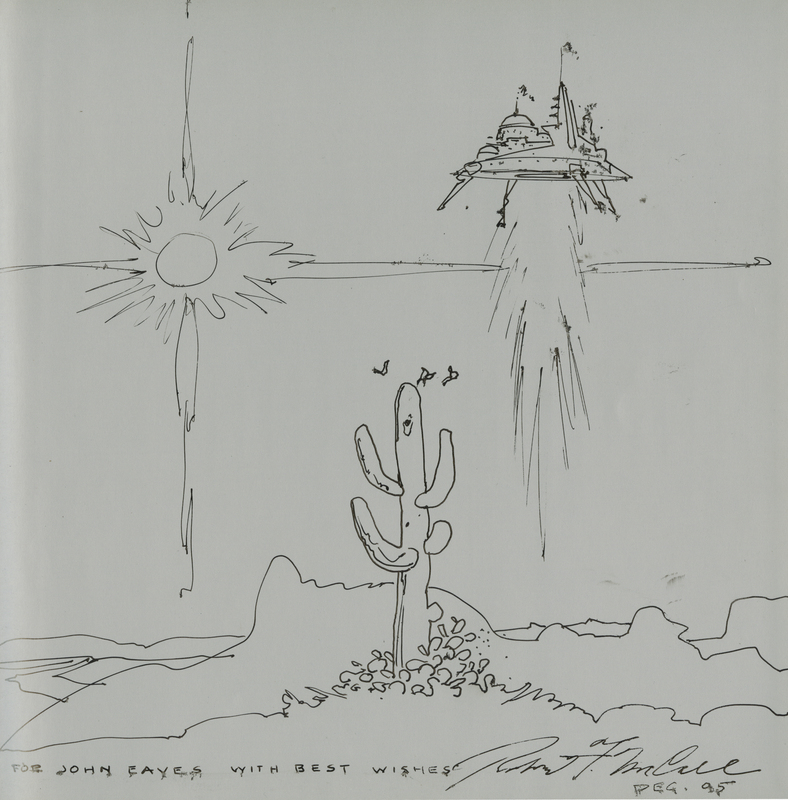 A few days after the drawing was out of my hands, news came that my friend Robert McCall had passing away. This terrible news hit me hard!!! 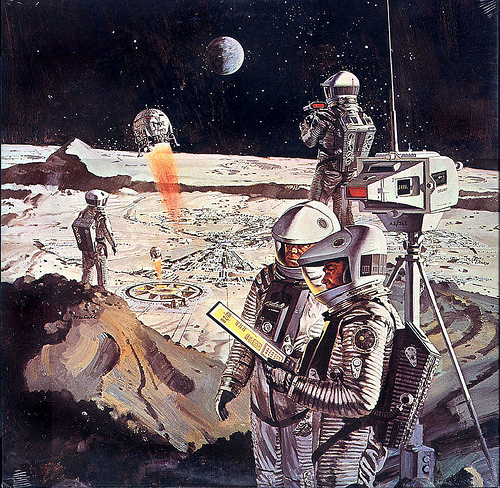 If this name is unfamiliar to you, Bob is the space artist from Arizona who is best known for his works on 2001 a Space Odyssey and his massive murals at the Smithsonian depicting NASA and the quest for space. I made a quick call to Doug and he let me replace the Fox shuttle with the McCall shuttle in Bob’s Honor. On an interesting note, except for Siouxsie all of the above men listed knew each other. Bob’s passing was a sad time, but it was so nice to be able to honor him in such a memorable way. So with that all said, Thanks go to Doug and a few of my heroes that got to be a part of the drawing. Enjoy, and more from the world of Trek to come. 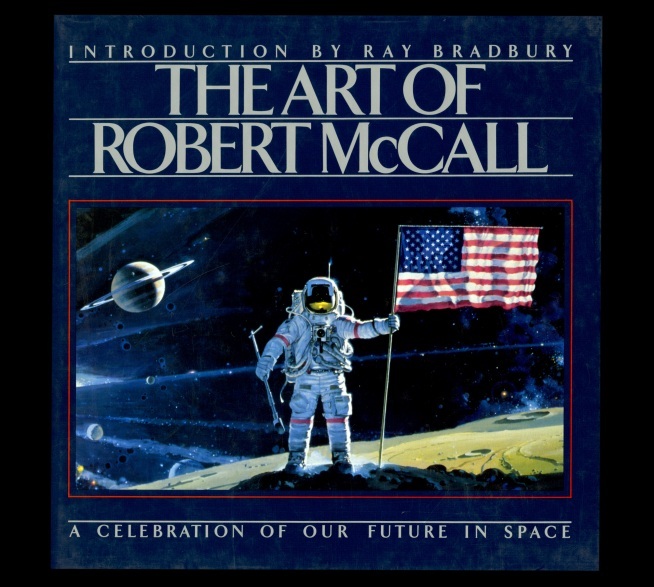 I just got word of Robert McCall’s passing yesterday and am so very sad to hear this news…I had been working on a special about Bob for the blog here and am sad I didn’t get it finished in time for him to see. Mr. McCall was 90 years old and painting away when he passed away last Friday, February 26th, 2010. 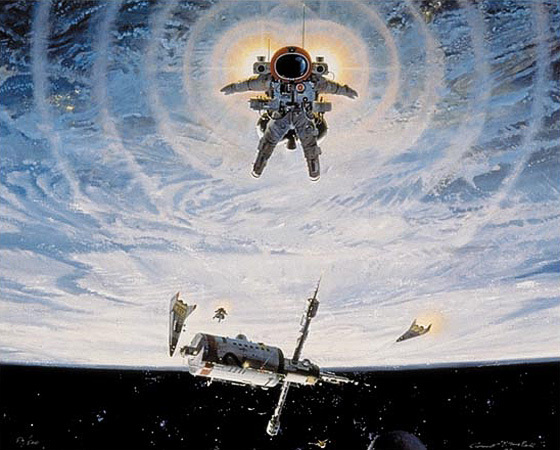 Many of you know of Robert McCall, or if you don’t, I am sure you have at least seen his work. He was a legendary artist, and his work has covered a multitude of subject matters. At heart he was an astronaut, a pilot, and mostly a dreamer, with pencil and paintbrush as his means to take you to places far beyond the bounds of Earth. He was a visionary genius who’s strokes on the canvas took us to places where no man had gone before!! With his feet firmly planted on the ground, his imagination new nothing of shoes for his visions, always looking towards the heavens. 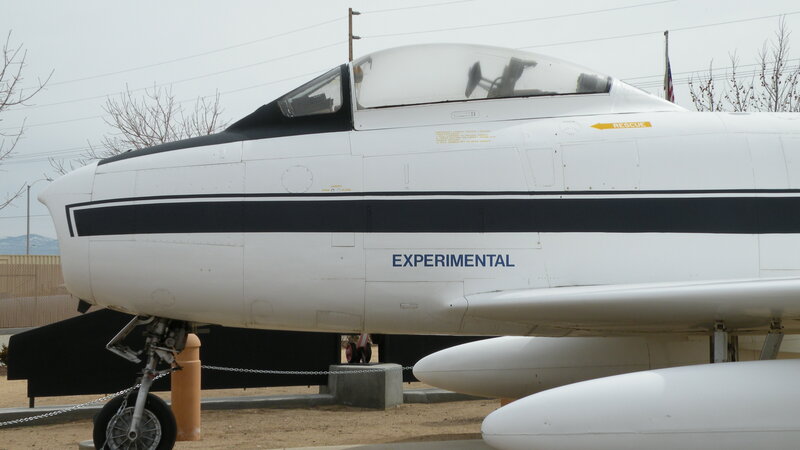 Bob’s work covered the world of aviation, from the big propeller driven planes to the supersonic hyper jets…from present day to historical space exploration and well into the future. He re-landscaped the state of Arizona in many futuristic styles with incredible imagination…He created some of the most beautiful stained glass windows for many of the churches around Phoenix; he also created massive murals for the Smithsonian, Edwards AFB and beyond. He created some of the most memorable art and designs for many motion pictures including the world of Star Trek. He created many mission patches, as well as stamps for the US post office. Mr. McCall’s work has no bounds, and he has done something for just about everything. He was a true gentleman at heart with an endless imagination. He was a loving husband and father, and he was a friend to everyone. To me, he was my first artistic hero and for the last 13 years or so had become a very good friend. As a young boy growing up in Arizona in the 60’s, I was captivated by aviation and especially by all the Gemini and Apollo missions taking us to the moon!!! 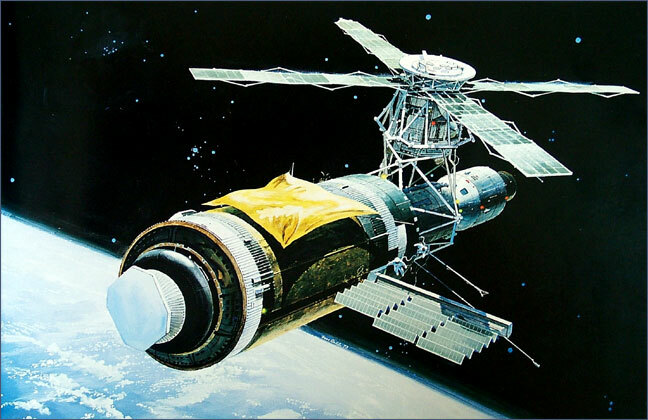 My whole world revolved around these things, and in early 1973 my mom had found a painting of a new NASA project called Skylab. 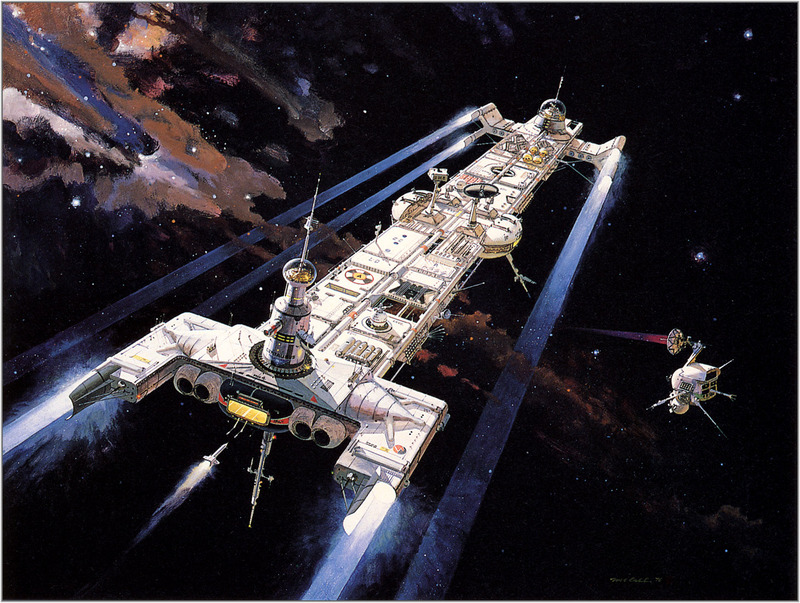 The painting was by an artist named Robert McCall, and I was glued to that picture for weeks!!! I would try and draw it myself using Bob’s painting as a guide. 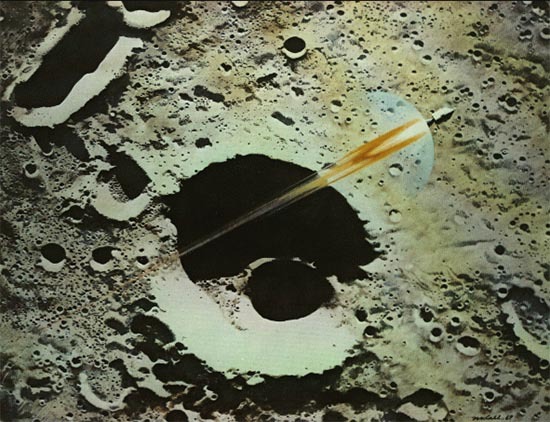 That little painting hung on my wall right next to my Apollo 17 mission patch that was also drawn by McCall. My parents subscribed to “Arizona Highways” magazine, and it showcased everything beautiful about Arizona and it’s people in pictures. 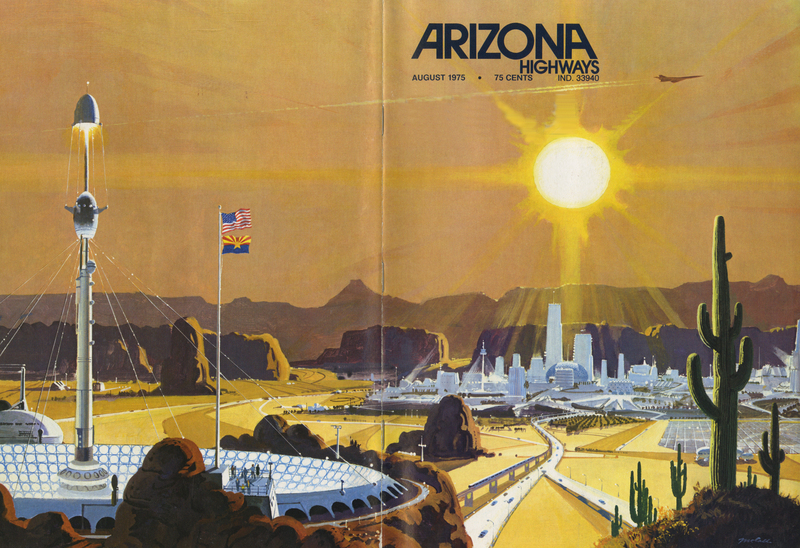 I remember getting the mail in August of 1975 and the new AZ Highways was in amongst the other letters; on the cover was this beautiful wrap around painting of a Chromed city situated in the AZ desert. Wow, I thought, “This is really cool.” Looking through the pages, it was filled with fantastic art depicting solar cities and fantastic craft floating around the state. 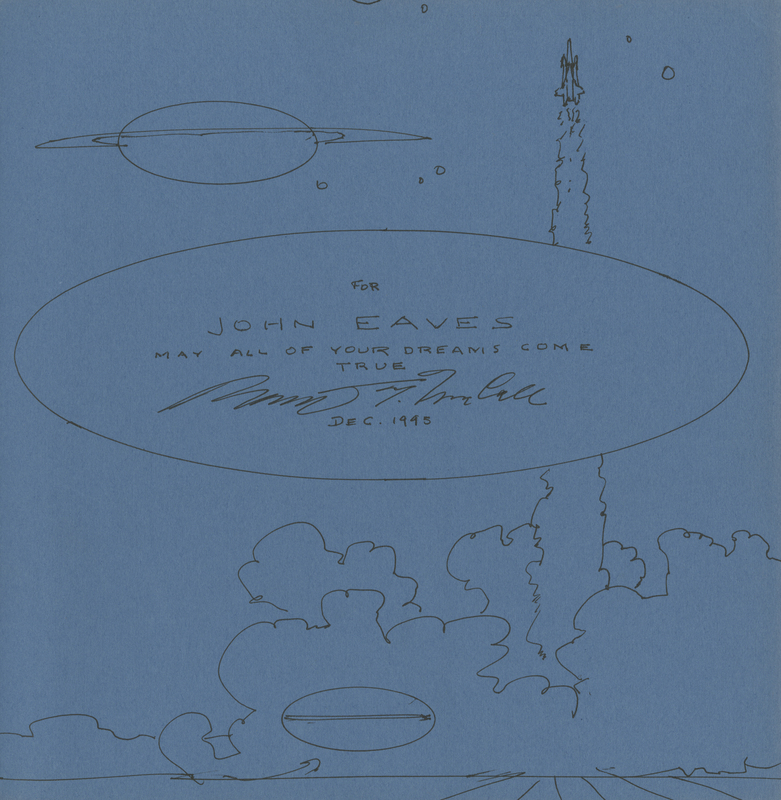 The back of the mag was covered with some incredible space craft paintings and even the Apollo Soyuz stamps that McCall had drawn. I looked at these drawings for months with such fascination. Again, I had my tablet out and tried to draw these incredible things that graced the many pages that lie in front of me. I took the mag to school and showed it to everyone I knew. I showed my science teacher, Mr. Chuck Bell, and he became one of the most influential teachers in pushing me to become an artist. Always with an encouraging word and giving me extra art assignments using McCall as my guide, he would take the finished art and showcase it on the wall behind his desk. Outside of my parents, Mr. Bell was the first adult that took that that little extra time to encourage me on my way. He is a great man and I owe him a great amount of thanks. About this same time I got my first turntable and my dad bought me the soundtrack of the movie Jaws and the movie 2001. Holy cow, the art on the 2001 album was by McCall, and again I couldn’t put the jacket down. Far more detailed than what I had seen of his work in earlier years, the details were mesmerizing, and the way he used the lighting and the thick heavy shadows was awesome. What I thought was so creative with his 2001 work was that he only showed you part of the ships. Most of the craft would be off the canvas, thus making things seem far too massive to fit all on one page. His work was magical, and he depicted weight and mass combined with light in shadow with such grace and elegance. The “Arizona Highways” mag had got me drawing everything in McCall style. 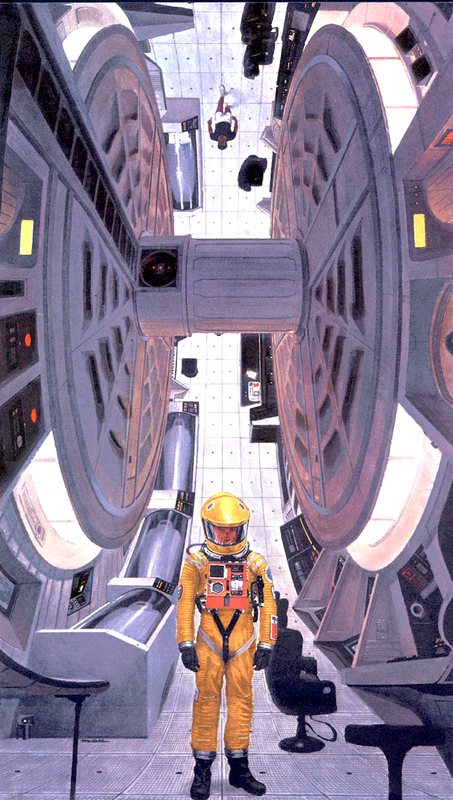 A few years later, Star Wars & Close Encounters came out and started the big theatrical run of everything Sci Fi. During that fantastic movie run, one of the big anticipated films to come was Star Trek: The Motion Picture. “Starlog” magazine was the big source of sci-fi info back in the 70’s, and when ever possible they would show what ever they could of what was coming next. It would usually be some artwork or a teaser picture, but for Trek they showed some of McCall’s production paintings for the flying through Vger segment. WOW!!! Bob’s work is a part of STAR TREK!!! I wanted to see it even more just because of his involvement. After seeing the film and now 30 years later that sequence is still one of my favorite parts of the film. All of Bob’s creative imagery combined with that incredible Jerry Goldsmith score made for one amazing moment in motion picture history!!! Just a few short weeks after Star Trek was released, Bob’s work would be seen again, but this time as the principle designer for Walt Disney’s The Black Hole. 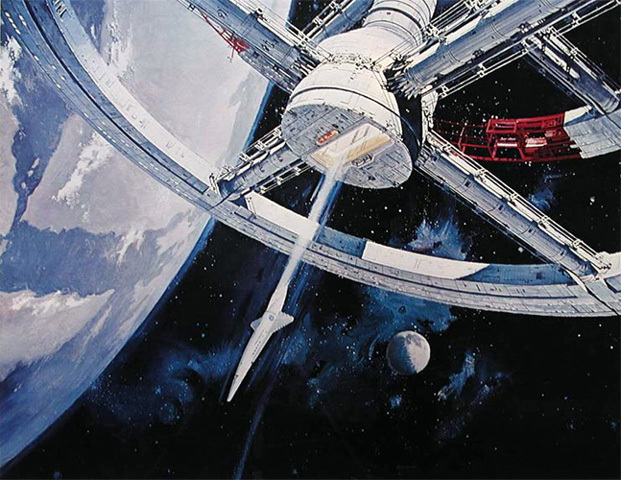 Mr. McCall designed the Cygnus for the film which, in his original designs, was a ship composed of solid panels and high towers. As the film’s designs progressed, Bob’s profile of the ship stayed the same, but the outer look turned into a series of beautiful and intricate framing and piped under-structures. For the look of the filming miniature, the vessel was lit from within and gave it a very haunting look and feel against the deep space backgrounds. The Cygnus was one awesome ship and is one that adds to a very vast body of work for McCall. Time rolls on and Arizona Highways & Starlog keep Bob’s work and what his projects are up to date. Moving away from the film industry he continued on with his space work for NASA and many museums and AFB’s around the country. 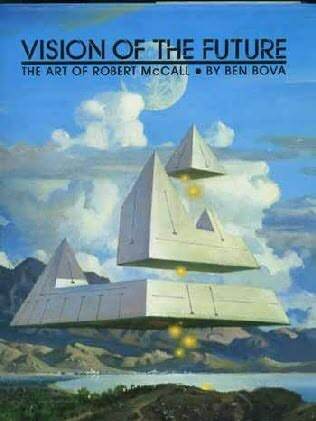 In the 90’s a great many art books are published on Bob’s work. Thanks to Mr. McCall’s influence and inspiration, I was at that time celebrating my 10th anniversary of working in the movies as an artist. 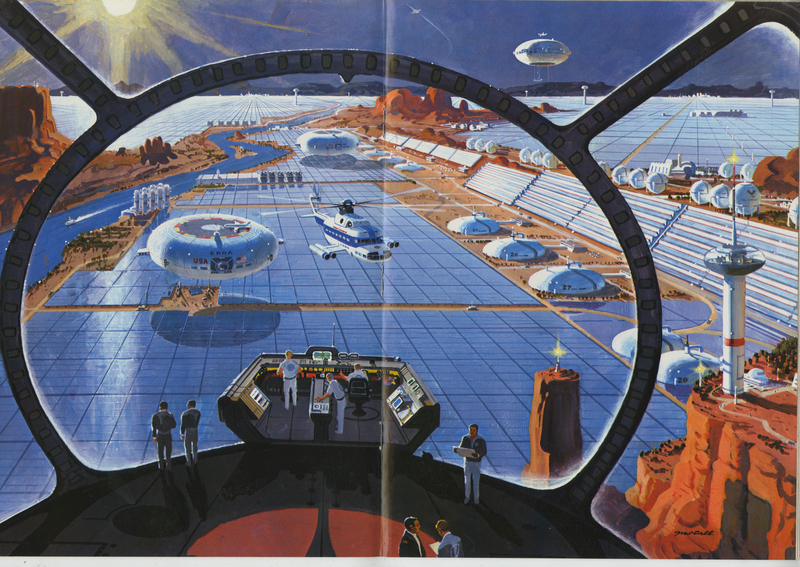 It’s 1995 and I had had Robert McCall’s phone number for years but was too nervous to call. All of the gang in the Star Trek art department were fellow fans of McCall, the Okudas, Jim Van Over, Anthony Fredrickson, and especially Doug Drexler. It was Christmas break from Star Trek, and I was on my way home to see my parents. One fine December day I worked up the courage to call, and he answered the phone. What an awesome moment!!! After a brief conversation, he invited me over to his place!!! I had just finished the preliminary designs for the Enterprise-E and had made a copy of it, as well as a bunch of other artwork, as a gift of thanks. Bob’s house was nestled in the hills of Scottsdale, and he and his wife, Louise, met me at the door. Louise is an artist as well, and flowers are her forte. She has such a beautiful style to her work, and she makes prints and cards of her creations. Bob’s art room was a big open area with big flat cabinets holding generations of work, as well as many big pieces hanging around the room. The first piece to catch my eye was a painting of the attack on Pearl Harbor in 1941. 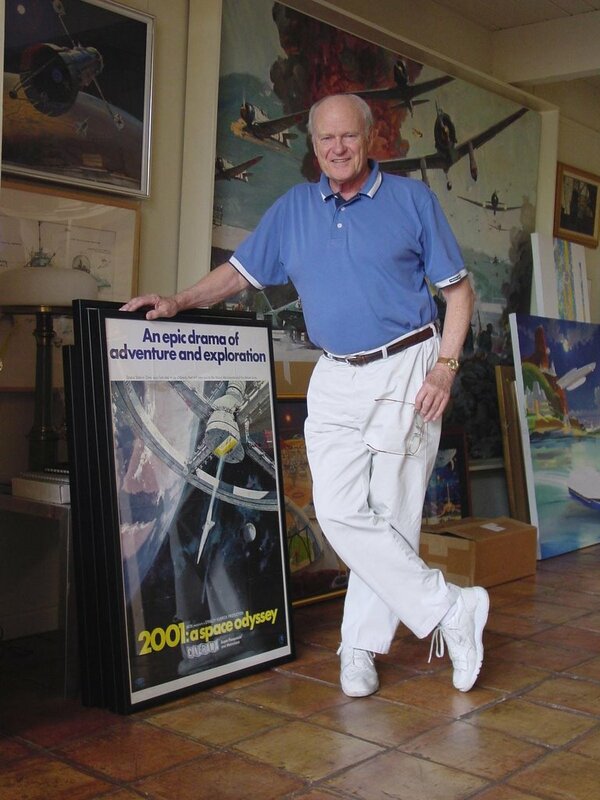 It was a huge painting, and Bob went on to say it was one of 8 paintings he did for the movie Tora, Tora, Tora. I had no idea that he had worked on that classic motion picture. We had a great afternoon, and Bob and Louise were extremely gracious; It seemed like we we had been friends for years. Bob signed three of his books for me, as well as a print from Star Trek, and Louise gave me a pack of her flower prints. It’s not every day you get to meet someone you admire, and in the movie industry disappointment is usually what follows, but as for meeting the McCalls, it was the start of a great friendship. We kept in touch throughout the years and would visit often when I was in town. Robert’s daughter runs his website and does one mighty fine job, so be sure to follow the link below and spend some time looking and reading all of the incredible stuff there. We will miss you dearly Robert…and to Louise and your kids and your grandkids, I send my very best and prayers as well. 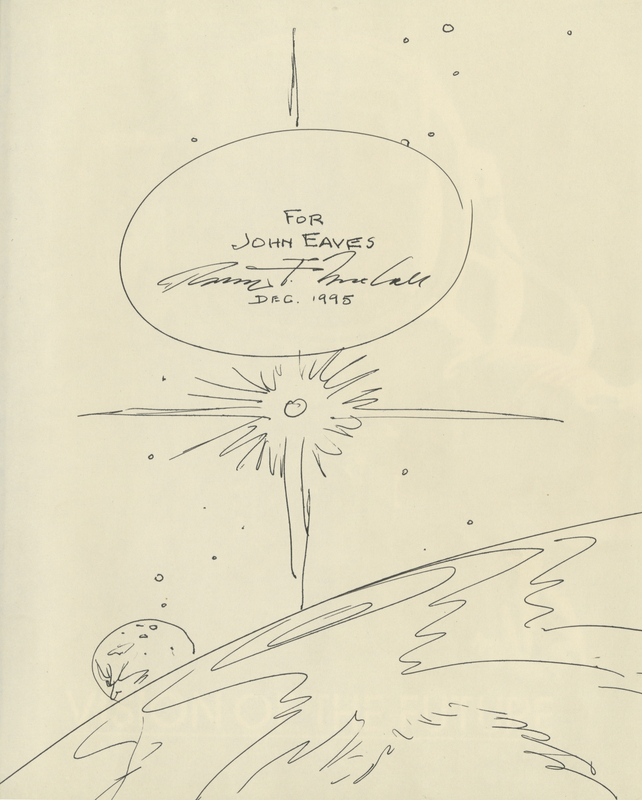 cover art for "Our World in Space"
Bob's note written in "Our world from Space"
a note from Bob in "The Art of Robert McCall"
Thank you, my friend, for all you have done.